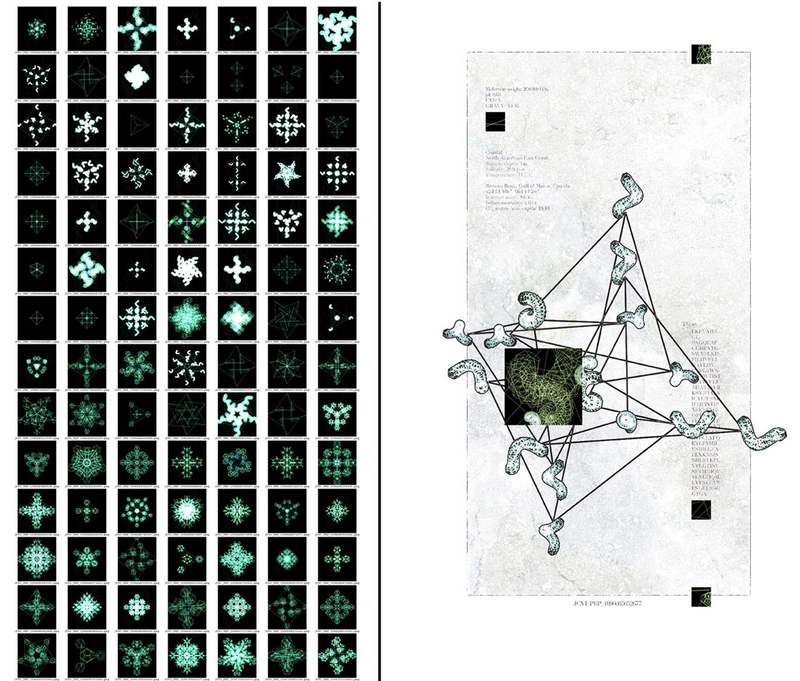 This aesthetically impelled work explores the use of dimensional glyphs generated by a custom meta-shape grammar algorithm to visually differentiate individual records from a massive meta-genomics dataset comprised of 17.4 million sequences and place them in a human context to reflect on the digitization of nature and culture. The Global Ocean Sampling Expedition, conducted by the J. Craig Venter Institute, studies genetics of communities of marine microorganisms throughout the world’s oceans, which sequester carbon from the atmosphere with potentially significant effects on global climate. The vast dataset contains DNA sequences, 17.4 million associated, predicted amino-acid sequences called ORFs (Open Reading Frames) along with a series of metadata descriptors. 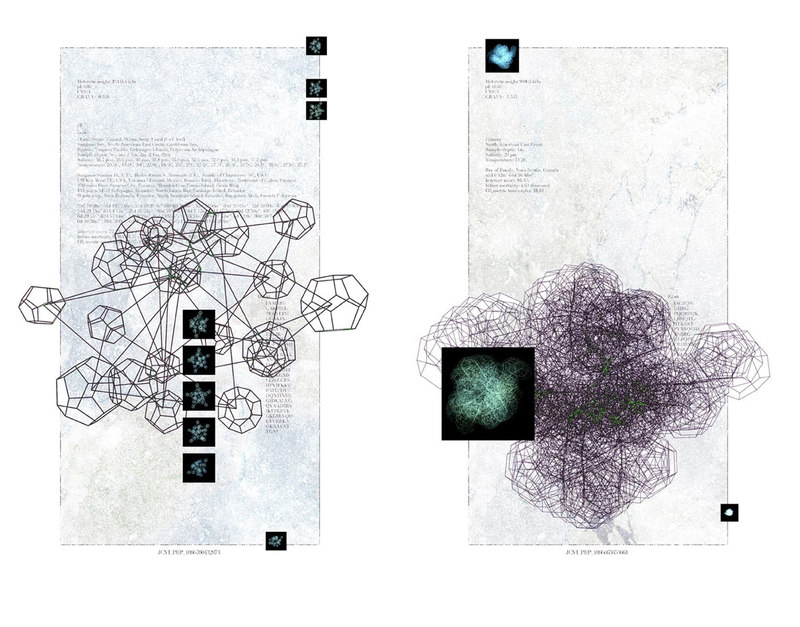 These images and sculptures are a subset of a vast aesthetically impelled in silico atlas. They were created as part of an art-science collaboration developing ATLAS in silico, an interactive installation where they take on different forms to function as scalable interactive data objects within a virtual environment. Two-dimensional projections of the scalable interactive objects are combined with a second distinct format that places each algorithmic object in the role of natural specimen. The result is presented in stylistic conventions that illustrate linkages between art and science in the 19th century.